Mahwah Archives | Did They Vote? Transparency in government is very important. As the Secretary of the Teaneck Planning Board, I made it a priority to ensure that minutes of meetings were prepared and published in a timely manner because the public has a right to know what is happening. But the folks in Mahwah, NJ don’t seem to share that commitment. When I requested minutes from the meeting where Ordinances 1810 (Peddling and Soliciting), 1811 (Police Director) and 1812 (Parks restrictions) were introduced, I was told that no meeting minutes were available. It’s been 95 days since the meeting. Is there a particular reason that they feel the Open Public Meetings Act doesn’t apply to Mahwah? I asked the Council President at the last meeting and he said it wasn’t his responsibility. Passing the buck seems to be his preferred method of dealing with problems. Sadly, this was wholly avoidable and Robert Hermansen, knowing the risks, chose this fight. Now he has it. For those that may not have seen the previous posts, the Township Council in Mahwah has been attempting to use inapplicable ordinances, in a discriminatory manner, to advance an agenda fueled by hatred and bigotry. 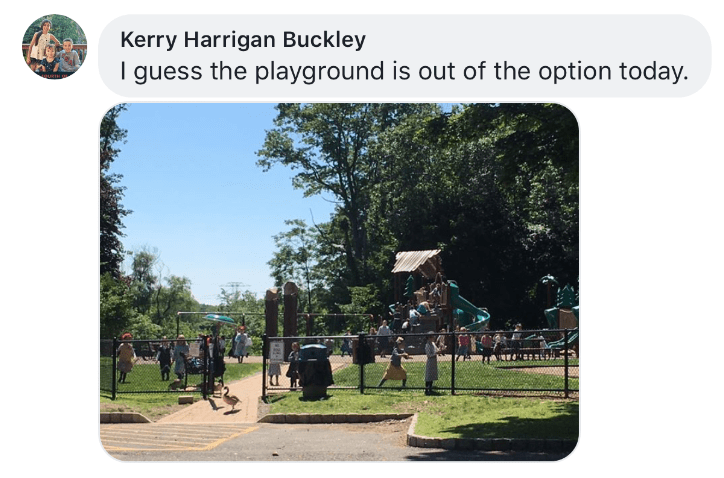 Eruvin are not signs, despite the attempts of Mahwah’s council to declare them as such and parks paid for with public funds cannot legally restrict public access. The rights to liberty and freedom, enshrined in our founding documents, are always under attack. I am very pleased that the Attorney General and others are standing up for those rights. The message needs to be heard loud and clear. Yesterday, it was alleged on the Facebook, that I have some secret documents that show there was no bigotry or animus in the actions taken by Mahwah’s Township Council. To be clear, I don’t think any council member ever outright said, “we need to stop Jews from moving into Mahwah”. That’s not how this kind of thing works. But there were choices made. Choices to exclude people. And those choices to exclude, were made after complaints from residents about Hasidic Jews came to the surface. Complaints ranged from parks being used too much, to doors being knocked on for solicitation (and allegations of “blockbusting”) and more. In many cases, evidence of what was feared, was lacking or non-existent. When faced with these pressing issues by residents, the Council had options. Take the parks issue, where a handful of residents stated that the parks were overrun with Hasidic Jews from New York. 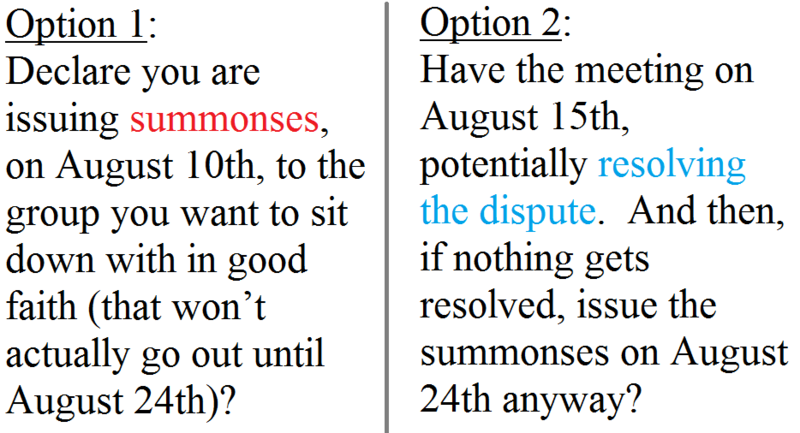 Would the Council opt to go with a simple ordinance that addresses the issue (e.g. “groups of 30 or more need a permit”) or would they try to ban certain (((groups))) from coming to “their” town? I have obtained a copy of the subpoena issued by the State Attorney General posted it below. These are very serious allegations, which echo the allegations made by the Township’s decades long Chief of Police and the Bergen County Prosecutor. This Thursday, the Mahwah Township Council will have a meeting to discuss various items on the Agenda. Someone had enough brain power to determine that the allusions to (a certain group that used arm bands to denote acceptable members of society who should have access to places like parks) was inevitable and has changed the discussion about mandatory “Arm Bands” into “Wrist Bands”. This, as they say, changes everything! – to prevent Jews with suitcases of cash from trying to buy homes, despite the fact this isn’t a real thing. – including such gems as “no stringing utilities over parks” and “no aiding and abbetting ball playing”. I wonder which will have a zero tolerance policy? So, after the acknowledgment from the Council President that the Township is “under the microscope” from the State Attorney General and that Civil Rights subpoenas have been issued, the first and best course of action they can come up with is to issue mandatory “arm bands” for the people using parks in order to keep out (((undesirables))). Are you Team Evil or Team Stupid, Mahwah? Tune in Thursday, to find out. Pulling back the curtain on Mahwah’s (en)forced errors. 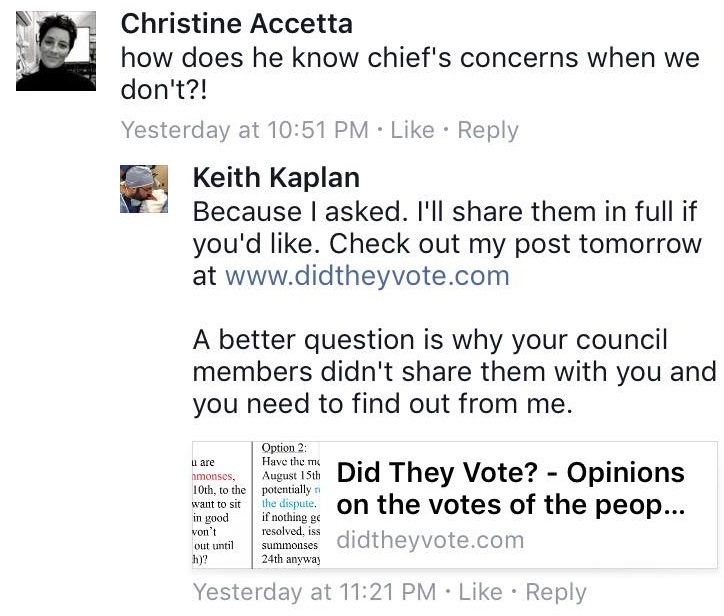 In a Facebook post Thursday, Mahwah’s Council President indicated that Chief of Police James Batelli, had issues with ordinances ( e.g. 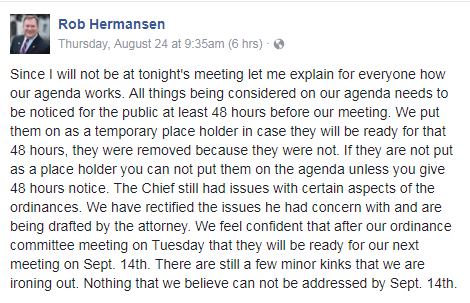 1806 to ban all non-residents certain people, from parks and others, pulled from the agenda) but now feels confident they will be ready for the next meeting. Sadly, he doesn’t mention what the Chief’s concerns were. Several residents at previous council meetings were asking about the reasons ordinances seem not to be enforced and Council members haven’t seen fit to publicize this information to the residents of Mahwah. In Mahwah, NJ, Council President, Robert Hermansen and Councilman David May are trying to find an infraction, to what they demand, must be illegal. Tensions are running high in Mahwah and a meeting was scheduled to foster open dialogue and negotiation on August 15th, between the Eruv Association, the Mayor, members of the Town Council and Mahwah Strong (a resident group). If you are going with option 1, you are Robert Hermansen and the Town Council in Mahwah, NJ.